Evolution and Us is supported by the generosity of its readers. 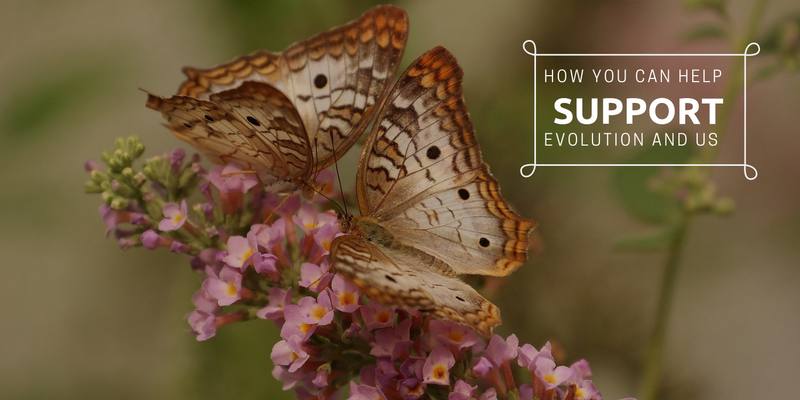 If you find Evolution and Us valuable, then there are plenty of ways to support it. Please consider supporting my efforts either financially or emotionally in any of the ways listed below. And, thank you so much! I do not rely on advertisers to support my efforts at Evolution and Us, rather I do my best to produce worthwhile content that you consider valuable. If you find my purpose and my content of worth, please consider supporting Evolution and Us with a monthly contribution through Patreon. The content on the Learning Resources page can be purchased on Amazon, and every time you click through the Evolution and Us site to make these purchases, I earn a small percentage of the sale. I’ve read each and every book listed and have included a personal review. I would never list any resource until I’ve read it myself, as I want to ensure that you are getting reliable, quality content. To visit the Learning Resources page just click or tap on the image below. You can also support Evolution and Us by following on Twitter and Quora. Just tap on or click the images below. If you like what I have to say, please like and share my content with your audience, and let them know how sophisticated you are. Here is my promise, once we hit 1,000 email subscribers on our blog, we will launch the Evolution and Us podcast. So, if you’d like this promise to become a reality, please subscribe to the mailing list by tapping on or clicking the image below.